Congratulations. You’re about to get your hands on some of the BILLIONS of dollars that brands spend on video advertising each year. But, just sitting & waiting for the cash to flow in may not result in the profits you’re dreaming of. Don’t worry with these 4 tips we’ve got you covered. Follow these steps to make sure you don’t miss out on your slice of the video advertising honeypot. Most ad networks work on a Cost per Thousand Impressions (CPM) model. The more eyeballs your video’s advert gets, the more money you’ll see rolling in. Your focus as a publisher has got to be on growing those video views. You’ll unlock so much more ad revenue if you do. Take advantage of all the big events that are happening in your industry. Create video content around those dates so that anybody looking for information can find and consume yours. Futbol Sites is Latin America’s largest network of football (soccer for our US friends) websites. During the World Cup, Futbol Sites saw their traffic increase by a whopping 300% (full story here). The team were able to monetize all of that extra traffic, with brands such as Ford, Gatorade & Pringles all paying to advertise on their videos. You need to make sure that anybody searching for your content can find it. If someone types into a search engine “World Cup highlights” (for example), and Futbol Sites videos don’t appear in the results, they’ve lost a big opportunity to drive traffic to their site. First, create and submit a video sitemap. This tells search engines what the video is about, and where on your site it is embedded. It means that when someone is searching for your video Google can return the relevant page on your website. For more information on how to create a video sitemap check out the page here. I also recommend creating a video transcript for your video. Speechpad is an inexpensive way to do this (trust me, it’ll save you hours!). Pop your transcript on the page next to the video. It’s a quick way to get lots of keyword rich copy onto your site. Using these techniques Moneyweek, the UK’s largest financial publisher, managed to grow their organic site visits 136%! Just think of all the extra ad revenue that comes with such soaring growth. You can read the full story behind their meteoric rise here. This will ensure that wherever in the world your viewers are located, videos will stream incredibly quickly. Not all Internet connections were created equal. Some are super speedy, while others are a little more sluggish (think 3G on your Smart Phone). Adaptive streaming will ensure that no matter what device or connection speed, your viewers always get the best possible video playback (plus you’ll save yourself some bandwidth too!) Those on fast connections will see full HD videos, while those on slow connections will get a lower definition BUT their videos will load quickly. It’s win win. CISCO predict that nearly 3/4 of the world’s mobile data traffic will be video by 2019. If your videos don’t play on mobile you’re missing out on a massive audience. When someone hits your site, don’t make them hunt to find the video. Place it above the fold, nice and big. Video advertising can be a huge revenue driver for your site, so make sure visitors can’t miss it! Of course different things will work well for different audiences so you’ll need to test this a little to check you’re seeing results. Use vzaar’s VPI (video playability index) to gauge how playable your videos are – a low score will indicate you need to try out a different thumbnail or move your video into a more obvious place on your page. Make every view count! Learn how to unlock video advertising revenues for your business. Did you know that digital video ad spend is expected to hit $16.69 billion by 2020? More brands than ever before are choosing to advertise on digital video (in a move away from traditional TV ad spending). vzaar is here to help publishers capitalize on this trend. Part of our mission is to help businesses make money from their videos. That’s why I’m very excited to write today about our recent partnership with AOL. For some years, now, we’ve offered a video advertising interface. It’s a fantastic option for those who do have an ad network all ready in place, you can have your ads up and running in seconds (quite literally). A simple copy & paste job and you’re done. While this has helped hundreds of businesses to monetize their videos, those who don’t already work with an ad network face a time consuming process before they can get started. For many publishers there’s a big barrier to entry into the video advertising world. Establishing a relationship with an ad network (such as AOL) can be a lengthy process. We wanted to bring the same get-started-in-seconds process to these businesses. If you don’t already have an ad network in place then you simply use ours! Partnering with AOL means that publishers using vzaar can now get their hands on off the shelf ad tags. Your account manager will manage the AOL interface for you, just book a call with us to discuss and we’ll have you up and running in no time. AOL have a number of Trading Desks that use their One Video Demand Side Platform which means that they have unique demand that publishers can benefit from. Publishers can plug their inventory into the open exchange which is great for fill and volume, but also set up Private Marketplaces, which drive higher CPMs. We’re proud to work with one of the most powerful, effective online advertising tools in the business. And we’re prouder still to be helping more businesses than ever before to unlock video advertising for their business. On Monday 20th February vzaar video playback was unavailable for almost 2 hours. We sincerely apologize for this. We know how much your business relies on vzaar. The dependability of our service is our top priority, but in this instance we failed to maintain the level of uptime that you – and we – expect. I would like to share with you how this happened and explain the steps we are taking to prevent it from happening again. We unintentionally deployed a change to our database which included altering a column name in one of the tables that video playback is dependent on. This change was not yet ready to go out, and as a result caused the system which loads the videos to fail. Our routine deployment process involves creating a branch from our Master branch. During development, the team make their code changes and then merge their working branch back into the Master branch ready for release. At this point we create a Release branch. We have intensive QA procedures in place around our Release branch, designed to catch any bugs in our code before they make it live to site. So why didn’t they catch this one? The problem in this case is that we didn’t deploy the Release branch. We unintentionally deployed our Master branch, not the fully tested Release branch. The Master branch contained the code that hadn’t been tested yet and wasn’t ready for release. Ultimately we restored the database column back to its original state. But, this took longer than we expected. Within a matter of minutes our developers had initiated this fix. However, we were deploying it to our Release branch and it was the Master branch which was the problem. When our initial fix didn’t solve the issue it was important to take a step back and reassess the situation. It was important to tackle the problem calmly. If we rushed to deploy untested fixes we risked compounding the error. We absolutely understood how important it was to get playback restored quickly. However, we didn’t want to risk database corruption, by not making sure we understood the problem correctly. We needed to unpick the chain of events and untangle the confusion over which branches that had been deployed. Once we had done that, the fix was clear and we were able to execute it safely. How Will We Prevent This From Happening Again? First, we have put a safeguard in place to protect against human error. It is no longer possible to deploy the Master branch live to production (i.e. code that has not been through our QA procedure). Our deploy script looks for a current_release tag to know which branch it should put live. In future, the current_release tag can only be applied to the correct Release branch. Secondly, we’ve also put in place a policy change to mitigate the risk when table columns need to be altered. The new policy is to create a new column, ensure code that references this column is deployed and working, and then clear the old column. This is slower, but the risk mitigation is worth it. We realize that outages are unacceptable and we are the first to accept that we did make mistakes in our deployment process (which led to this issue). We thought we had enough QA procedures in place to catch problematic code, but this has highlighted where our current policies need to be updated. Rest assured those updates have been made and our platform is now more stable as a result. Thank you for your patience and understanding. On behalf of the entire team once again, we are truly sorry. We hope you understand we’re working hard to ensure against any further outages. Mass media is in the midst of a revolution. A key element in this is the proliferation of the online video platform. Starting in 2015, millennials age 14-25 began watching more digital video than television. These trends have only accelerated. Now, almost two-thirds of people ages 18-34 are watching live streaming regularly. These changes have rocked the market much faster than the transition from print to radio, or radio to television. In this post, we’re going to talk about online video platforms. Specifically, we’re going to look at the following topics. So what is an online video platform? Essentially, an “OVP” is a tool for hosting, managing, and delivering online video. A good OVP will provide you with basic live streaming and video hosting. They’ll provide tools to deliver your videos rapidly to a global audience. And they’ll allow to secure, monetize, and customize your video model, plus analyze the results. Let’s look in detail at a few of the important features of OVPs. Encode multiple renditions of your uploaded video (low definition, standard definition, high definition). Then automatically stream the best version for your viewer. Those with speedy Internet connections get crystal clear ultra HD quality, while slower connections (think shared public wifi, or 3G cell phone signal) get buffer-free viewing. Learn more. Your platform should have servers all over the world so that the video streams from whichever server is closest to the viewer. It makes for much speedier delivery. If you’re trying to reach viewers in China, the Great Firewall can make it difficult. Double check your video platform hasn’t been blocked. Learn more. Problems can come up. How can you solve them? With good tech support. Preferably, you want access to support via phone, live chat, or email. When you sign up to any online video platform your team needs to learn a completely new piece of software. Even when they become confident, there’s still an overhead to switching between different systems. A video API bypasses much of this by allowing you to incorporate the platform directly into your existing systems. This eliminates the need for staff to learn how to use a new product or switch up their workflow. Preferably, a video API should be fast to setup, include full documentation, support multiple languages, and be able to handle thousands of requests. Learn more. Modern video businesses are built on monetization. That means you need to protect your content from piracy. Security firms are seeing increases in piracy, hacking, and digital attacks every single year. That’s why secure video delivery is an essential component of a modern video platform. Invasive advertising. You never know exactly what will appear over your content. Automatic recommendations. 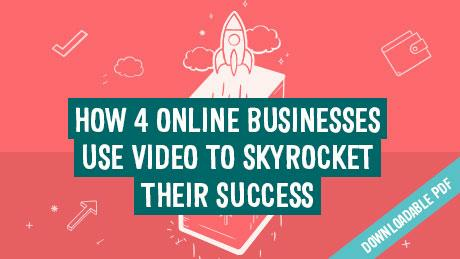 Your video may provide a direct link to competitors. No customer support. If you have a problem, you better hope you can figure it out on your own. Limited monetization. You don’t have many options, and they aren’t very lucrative. In contrast, a professional-grade online video platform will fix these problems. Plus, it should offer all the features we’ve listed above. Live streaming and VOD is being used effectively by many different types of businesses. And most of these choose a professional-grade online video platform. The Brightcove OVP was founded in 2004. Their business is aimed at video hosting for large clients. Brightcover offers various pricing plans starting at $199/mo. and includes the following features. Multi-bitrate and adaptive streaming are included. Global content delivery is included, but without good Chinese delivery. Tech support is offered, but only basic support with slow ticket-based responses unless you upgrade to a paid support plan. Video API is offered, but only on custom-priced plans. Security features are included, but high-end features only on custom plans. Monetization is offered, but only on custom-priced plans. Brightcove pricing starts at $199/month (paid annually) for a marketing plan. This plan includes up to 100,000 video plays and basic video access. To access live streaming, video API, or monetization, you’ll need to upgrade to a $499+ plan. Global content delivery is included, but doesn’t support in-China access. Tech support is included, but premium support is only available on custom plans. Video APIs are included, there are six different APIs available. Security features with Wistia include password protection, email gating, and domain restriction. Wistia pricing starts at $99 per month for their basic plan. This includes hosting for 10 videos. Additional videos cost $0.25 per month. For larger customers, there are customer plans available. Next, let’s examine JW Player. As the name implies, JW Player was originally a video player—and a highly successful one. Following that initial success, JW Player expanded into video hosting. More recently, they have added limited live streaming functionality. Let’s take a look at the features of the JW Player platform. Global content delivery is included, but China delivery is blocked by the Great Firewall. Tech support is included, but only email support to the $100/month plan. Video API are included in all plans. Security features included are basic, but functional. DRM is offered on custom-priced Enterprise plans. Monetization is offered, but only via advertising. JW Player pricing starts at $25/mo. This includes the JW Player platform, 50,000 video plays, and basic password protection. At $100/month, you get more plays and a few more features. Custom plans are also available, and include monetization, DRM, and more. Global content delivery is available via Kaltura’s combined CDN approach, or you can bring your own. Tech support is offered via a ticket-based system, which is slower than chat or phone. Video APIs are included throughout the platform. Security features are offered, including a range of authentication and encryption options. Kaltura cloud video pricing is relatively complex. It’s billed on a ongoing usage model. For example, outbound bandwidth costs $0.17 per GB. Content storage costs $0.25 per GB. Transcoding costs $2.25 per GB. And plays are priced at $0.001 each. There are many other costs. Each month, your usage is calculated and your bill is based on this. Multi-bitrate and adaptive streaming are included with all plans. Global content delivery is included by default, including industry-best in-China delivery starting at $419/mo. Tech support is offered with all plans, including phone and chat support! Video API is offered on all plans. Security features are included on all plans, including password protection and encryption. Monetization in the form of advertising is supported on all plans. Support for subscriptions and pay-per-view coming soon! The cost of vzaar starts at $209/month for 1 TB of bandwith per month and 1 TB of storage. For $419/month, you can upgrade to 4 TB of monthly bandwidth and 2 TB storage. This plan also includes China delivery and live streaming. Custom plans are also available. If video is your core product it’s vital that you choose the best online video platform. After all, if your OVP fails so too does your business. You want to grow & engage your audience, increase video ROI, create a great online reputation and boost productivity. As you compare online video platforms, make sure you access all the features we’ve discussed above. If you want our recommendation, it’s vzaar. We offer all the above features for just $209 per month. Plus, we offer a 10-day free trial so you can test our all our features for yourself. Give it a shot today! Uncover tips from 4 successful subscription companies. Optimize and secure your online videos to boost profit and wow viewers with HD streaming. It’s hot. It’s new. And it’ll transform your viewers’ experience. Today we launched adaptive streaming and multi bitrate in vzaar. As of now, you can select multiple playback options for your videos. Enable HD (high definition) streaming for strong internet connections and LD (low definition) for weak connections at the same time. Why is adaptive streaming awesome? Adaptive streaming improves your viewers’ experience. Wow viewers with stunning high res video quality, while not having to worry about viewers on weaker connections. Your stream will automatically adapt to their connection to ensure fast and reliable streaming. What’s more, it’s super easy to set up. Just create and save video ingest recipes by selecting the playback options you want to provide your viewers, from ULD (ultra low definition) to UHD and everything in between. Save your video ingest recipes to use them again when you upload videos in the future. This will save you time and effort, so you can spend more time doing the important tasks like creating your video content. Our adaptive streaming isn’t the only thing that’s new. It’s now easier than ever for your team to interact with vzaar. Our API hooks into your CMS (content management system), so your team don’t have to go to the vzaar site to upload videos. They can do it all from your website. This means less software to learn and more time to spend on other tasks. In short, our new API improves your experience of uploading, formatting and streaming your videos.